Everyone love surprises!! 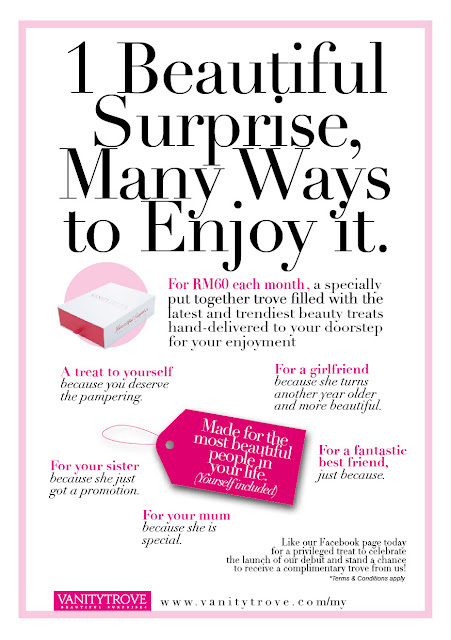 Guess what you will have the chance to have an awesome beautiful surprise on monthly basis.. Yeay! Woot.. Woot! Imagine you'll be receiving a box with surprise beauty products every months on your doorstep.. High five to that! Yeay! 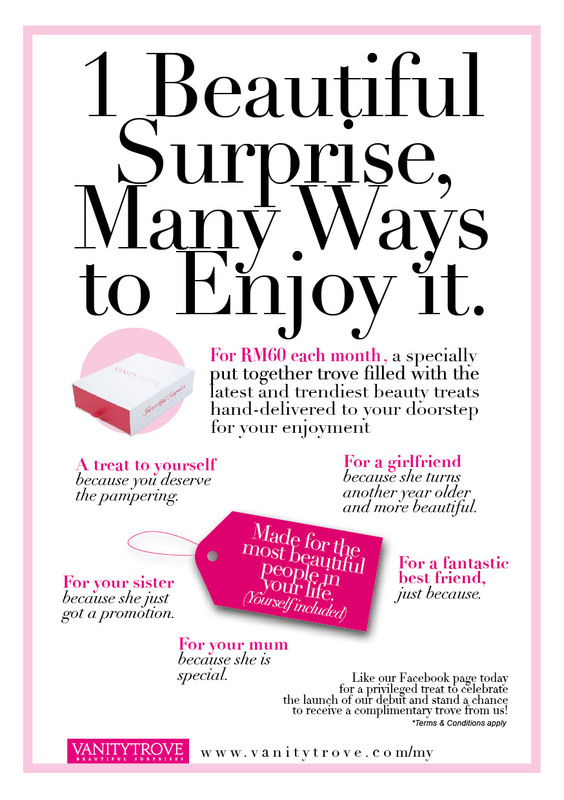 Inspired by the concept of fukuburuko, Vanity Trove provide this awesome service now in Malaysia :) You could indulge and try all of the products for only RM 60 per month..
Not just that, you can only send it as gift to your best friends, family members and even your boyfriend.. also have beauty box for men :) Yes! This will help you from avoiding scratching your head on what to get for them on their birthday. For most of the beauty bloggers or readers, you might be well aware of how the beauty box work.. To those who do not know yet.. No worries :) I am here to share it with you.. This is how it works :) Simple 3 steps..
What make it so great? As for the time line, for some beauty boxes... You will only be getting your the box on the 3 weeks on that month.. Or before the month end.. Let say you order a box for December and you will be getting it on 3 or 4th week of December.. So, how do you get started? Just go their website http://www.vanitytrove.com/my and subscribe. 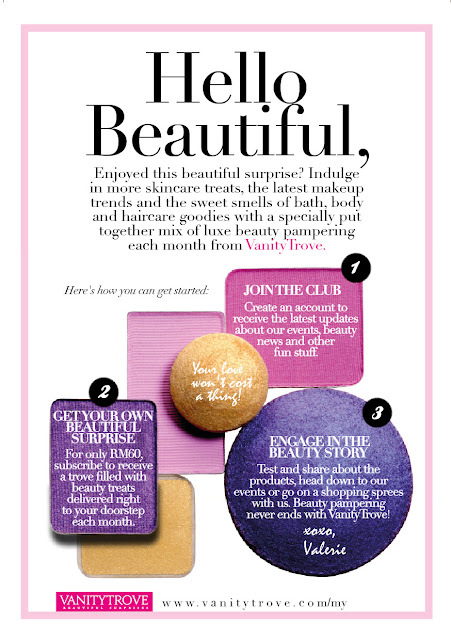 p/s : Have you tried any beauty box service before? hig five!i love it too! I want to try blh tak ??? it looks luxury in the packing. i'll google it & hv a look! thank you very much for your reviews.